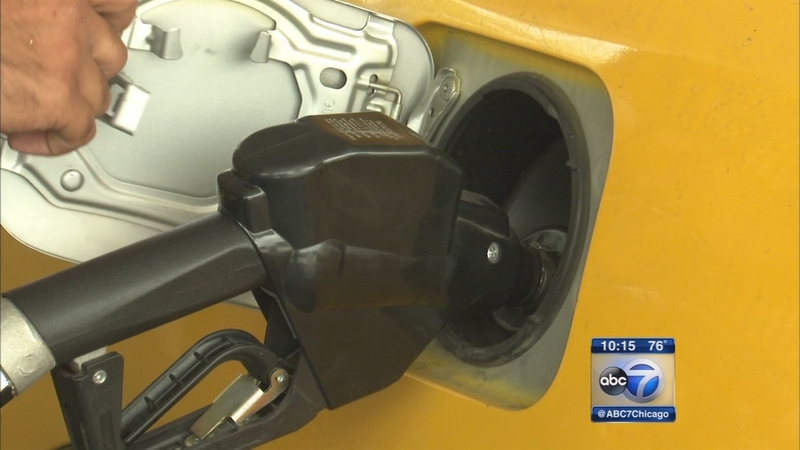 CHICAGO (WLS) -- Gas prices could drop below $2 a gallon for most of the nation during the Thanksgiving holiday. In Chicago, the price is expected to hover just over $2. According to the Lundberg Survey, the average price of regular gasoline plunged 11-cents a gallon in the past two weeks to $2.14 a gallon. The national average will fall to $1.99 by Thanksgiving, according to GasBuddy.com. In Chicago, gas prices are still hovering over $2. But in collar counties and the suburbs, they're expected to fall lower. The highest gas prices in the nation are along the West Coast and in Pennsylvania and New York.